Woohoo! We’ve been shortlisted for the Fit Out Awards! After taking some time out over the summer, we are now back with a bang and what better way to do it than with a big announcement…. 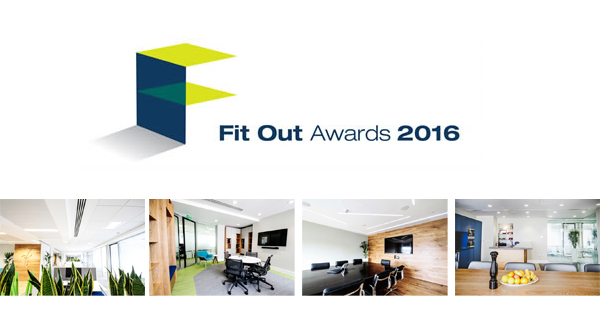 We have been nominated for not one but two categories at this years prestigious Fit Out Awards. Anthony has been nominated for the Fit Out Designer of the Year. His hard work and dedication to every project in the last year has been phenomenal and we are absolutely delighted that he has been nominated for this fantastic category. Best of luck Anthony!!! We were honoured to be awarded with the Fit Out Design Practice of the Year in 2014, so to nominated for this amazing award again is unbelievable. As a small team we have worked extremely hard over the past year and it would be really fantastic if we could take the title home again. We are all looking forward to a great night on the 4th November and we’ll keep you posted. Congratulations to all the nominees and best of luck on the night.